HONG KONG — Asian shares wavered Friday, with the dollar's recent weakness dampening sentiment among investors who are also shying away from risky positions before the release of key U.S. jobs data. 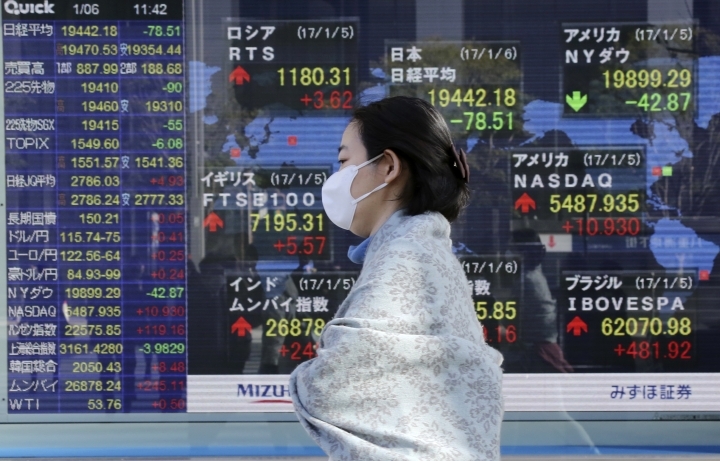 KEEPING SCORE: Japan's benchmark Nikkei 225 index lost 0.4 percent to 19,450.68 while South Korea's Kospi added 0.4 percent to 2,050.70. Hong Kong's Hang Seng advanced 0.4 percent to 22,550.33 and the Shanghai Composite index slipped 0.1 percent to 3,161.77. Australia's S&P/ASX 200 was nearly unchanged at 5,752.20. Benchmarks in Southeast Asia were mostly higher. SAMSUNG SURPRISE: The South Korean electronics maker posted its fattest quarterly profit in three years, boosting shares by 2 percent and shoring up stock market sentiment. The company said operating profit surged 50 percent to 9.2 trillion won ($7.8 billion), surpassing even the most bullish analyst forecasts. TRUMP AND TOYOTA: Toyota Motor Corp. stock fell 2 percent Friday morning after President-elect Donald Trump said on Twitter that the Japanese automaker would face a "big border tax" if it goes ahead with plans on a new Mexico plant. Toyota in Japan had no further comments beyond saying that it has been in the U.S. for six decades and its Mexico plant will not affect jobs or production in the U.S.
DOLLAR DRIFT: Investors are refocusing on currencies after the greenback hit 14-year highs against its peers. 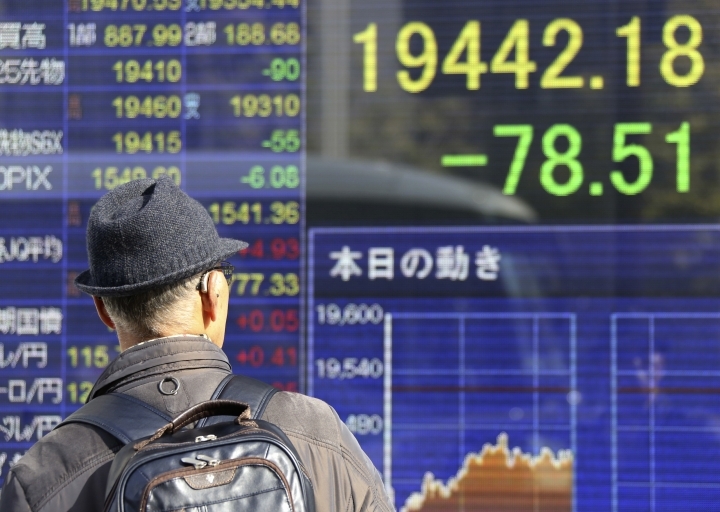 The yen's strength this week has pulled Japanese export-oriented shares lower. Now markets are closely watching the yuan, which has surged against the dollar in what some see as a sign that Beijing wants to stem the closely controlled currency's recent decline. Authorities on Friday set the midpoint of the narrow band in which the yuan is allowed to fluctuate 639 basis points higher at 6.8668 to the dollar — its biggest increase in years. In Hong Kong, the costs for banks to borrow yuan from each other overnight jumped to a staggering 38.3 percent on Thursday. JOBS REPORT: Markets are awaiting a U.S. government report on employment due later Friday that Fed officials will factor into future decisions on interest rate policy. 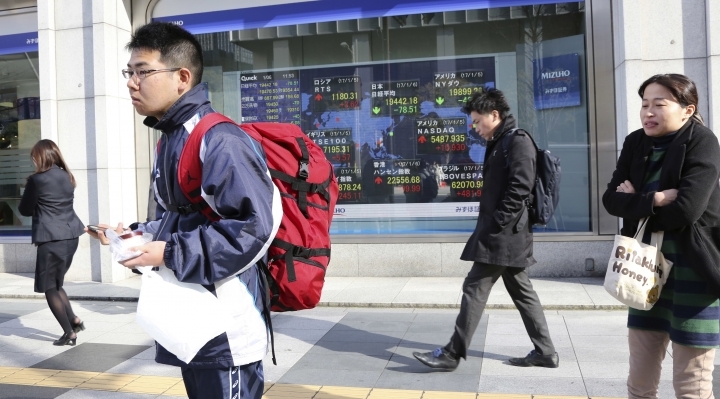 Economists expect a gain of 173,000 jobs, according to data provider FactSet. A private payroll survey released Thursday found fewer jobs were added than economists had expected. ANALYST VIEW: "Broad gains in Asian markets are expected to continue in the day, despite U.S. markets providing little inspiration, the latter weighed by disappointing US jobs data overnight," said Jinyi Pan of IG Markets in Singapore. "The main focus will however be on U.S. December (non-farm payrolls) release today." WALL STREET: Major U.S. benchmarks ended mostly lower. The Dow Jones industrial average sank 0.2 percent to 19,899.29. The Standard & Poor's 500 index lost 0.1 percent to 2,269. The Nasdaq composite rose percent to 5,487.94. The Russell 2000 index of small-company stocks surrendered 1.2 percent to 1,371.94. ENERGY: The dollar rose to 115.78 yen from 115.49 yen in late trading Thursday, though it was still down from highs reached earlier in the week. The euro weakened to $1.0588 from $1.0598. CURRENCIES: Benchmark U.S. crude rose 1 cent to $53.77 a barrel in electronic trading on the New York Mercantile Exchange. The contract rose 50 cents to settle at $53.76 a barrel on Thursday. Brent crude, which is used to price oil sold internationally, slipped 2 cents to $56.87 a barrel in London.